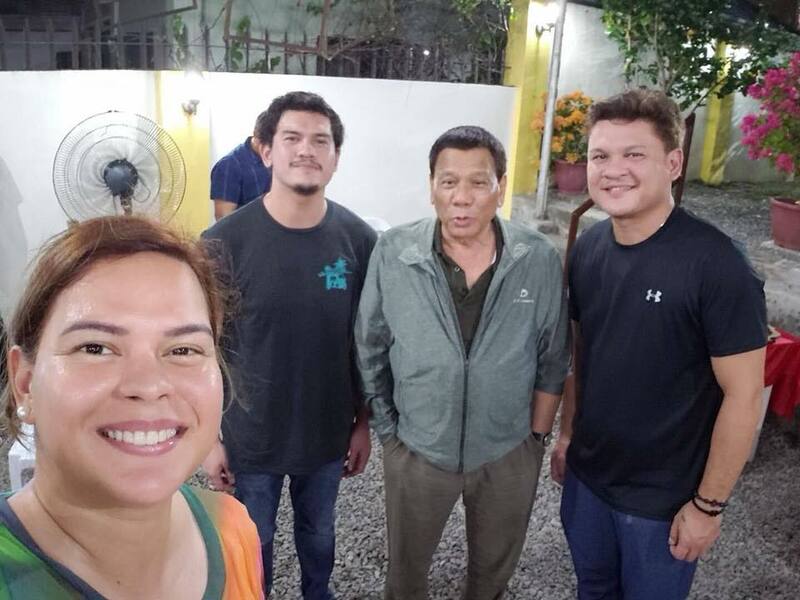 Former Davao City Vice Mayor and Presidential Son Paolo Duterte advised his father to take the back seat and let them take care of those who criticize the President and his policies. The younger Duterte made the statement as President Duterte celebrates his 74th birthday Thursday. In his birthday message for his dad, Paolo thanked the President for always having the time for them despite his busy schedule. “Happy Birthday Pa! Bisag unsa ka kabusy sa imong trabaho, usahay wa na kay tulog, pero makapangita ra gihapon ka og oras para kanabmo. Daghang Salamat Pa (Happy birthday pa Even though you are busy with your work and sometimes not able to get enough sleep, you still find time for us)!” Paolo said. The former Davao City Vice Mayor then assured his father that they, the Presidential children, are always there for him. He, however, hope that his father can find time to rest as he also wished for him to remain healthy. “Naa ra mi dri kanunay mosuporta kanimo. Pahulay sad usahay, pasagdi ng mga tawo nga pabright-bright diha, si Inday Sara Zimmerman Duterte nay bahala nila! hehehe Ug kanang mga irong buang Pa, ako nay bahala nila (We are just here for you. Find time to rest. Let me and Inday Sara take care of your critics)!” Paolo said. “Hinaot nga kanunay ka nga anaa sa maayong panglawas aron sab nga makapadayon ka sa pagserbisyo sa katawhan (I hope that you will always be in good condition so you can continue serving the country),” he added. Meanwhile, Davao City Mayor Sara Duterte-Carpio had fewer words in greeting her father for his special day. The Presidential daughter took to Instagram her message for the President. She posted a photo of Duterte playing with his grandchild inside their house in Davao City. “A lecture on responsible gadget use by Lolo Digong. #HappyBirthdayPRD! I wish you good health and happiness. ” Sara said. Earlier, President Duterte said that he just wants to sleep and stay at home instead of having a big party to celebrate his 74th birthday. He said that he wants to spend it quietly with his loved ones. “I really do not want to celebrate. I just want to stay at home and sleep, and if there is somebody welcome to me, it’s my children and grandchildren,” he said. Duterte has been known to spending his birthdays in the simplest manner possible. Duterte was born on March 28, 1945 in Maasin, Southern Leyte to former Davao Governor Vicente Duterte and Soledad Roa, a teacher.